This is an example of a myofascial pain problem that may result in buttock pain and perhaps mimic sciatica. The gluteus maximus is the powerful muscle of the buttock that helps you stand erect, walk, run, climb stairs, and rise from a seated position. It is attached to the coccyx at the base of your spine and the back of your pelvis. A spasm or tightness of this muscle can cause local buttock and even sciatica-like pain when you try to walk uphill in a bent-over position, pain on prolonged sitting, and in swimming the crawl. Normally, the spasm and pain are on only one side. Manual manipulation of the muscle often relieves this type of spasm, when combined with physical therapy and, if needed, trigger-point injections. Deep inside the buttock is a muscle called the piriformis that originates on the sacral vertebrae and stretches to the thighbone. This muscle rotates your thigh outward when your upper leg is brought back behind you. The sciatic nerve runs under the piriformis muscle as it leaves the spinal canal and travels down the leg. The piriformis can cause pain if it is overused, such as by repeatedly lifting things from the ground and throwing them over one shoulder – loading a with with hay or firewood – or from running. Myofascial pain affecting the piriformis muscle will cause pain to radiate down the back of the thigh. The pain is made worse when the muscle is stretched, as in bringing the leg, bent at the knee, across the center of the body. Sometimes piriformis syndrome is associated with low back pain or pain around the coccyx, groin, or other the hip. It is often associated with sacroiliac-joint-related pain, which must be recognised and treated apart from the piriformis syndrome. One-sided facet pain may also coexist with either piriformis syndrome or sacroiliac-joint pain, as may bursitis of the hip. They all have to be recognised and treated separately, and they can be, with good, lasting results. Piriformis syndrome is diagnosed from the history and physical examination. Whether the symptoms are from myofascial pain or entrapment, they cannot in the office be completely differentiated from lower lumbar nerve pain from disc herniation or stenosis. Spinal root compression must be excluded before the diagnosis of piriformis syndrome can become a prime target of treatment (root compression can coexist with myofascial pain of various muscles). Obviously, a disc herniation, which may be the underlying cause of myofascial pain and require surgery as the best treatment, should be recognised and dealt with before embarking on a host of trigger-point injections and physical therapeutic measures for focal muscle spasm. Treatment of this disorder is the same as for any myofascial pain – stretching exercises, analgesics, anti-inflammatory medications, and muscle relaxants. For persistent pain, trigger-point injections of local anaesthetics and corticosteroids in the muscles followed by stretching exercises may be used with good result. A separate issue from the problem of myofascial pain is sciatic-nerve entrapment by the piriformis. Some contend that in some patients the piriformis muscle and underlying sciatic and some other nerves and blood vessels are so positioned that the muscle irritates or compresses these nerves, causing sciatic, groin, and hip pain. People with this problem will have symptoms sciatic-nerve irritation, including tingling, which is at times painful, involving the affected sciatic nerve, not just pain in the buttock or thigh (they may have that, too). This diagnosis accounts for at most a small percentage of patients with buttock, hip, and sciatic pain usually from other causes. Never ignore muscle pain accompanied by weakness, numbness, and bowel or bladder problems. Heat dilates the blood vessels to increase the flow of oxygen to muscles, helping them heal. 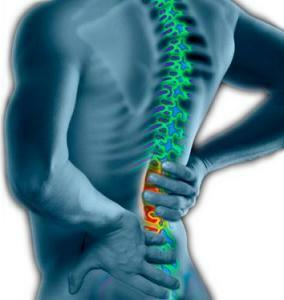 After you have strained a back muscle, that muscle is more vulnerable to another such injury. Low-back pain is a common symptom of myofascial pain syndrome. Pain from spinal discs and facets often causes spasm and myofascial pain in the muscles overlying those structures. Call +65 64712674 for an appointment to treat Myofascial Back Pain today. Same day appointment.